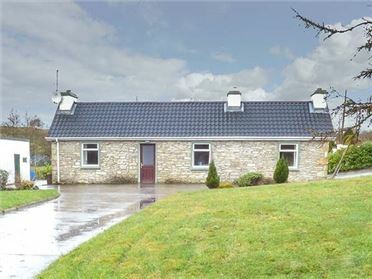 Ballindine House is a cosy, detached bungalow cottage located on the edge of Ballindine in County Mayo. 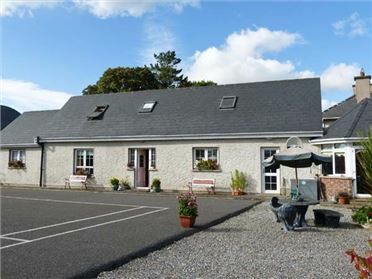 With two double bedrooms, one with an en-suite bathroom and one with an additional child's stacker bed, this cottage can sleep five people. 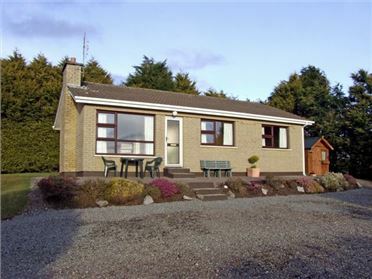 The cottage also includes a family bathroom and an open plan living area with kitchen with breakfast bar (seats 4), dining area and sitting area with multi-fuel stove. Outside is off road parking for two cars plus a rear lawned garden with patio, furniture and BBQ. 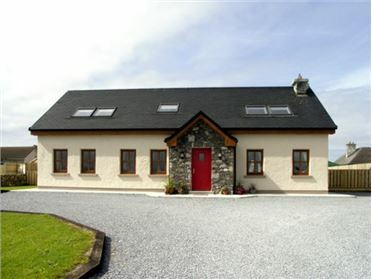 Ballindine House offers couples and friends a wonderful Mayo base, with amenities just five minutes' stroll away plus a fine selection of nearby attractions. Note: Dogs must be kept on a lead and under strict control when outside. Note: Max 4 adults. Electric central heating with multi-fuel stove. 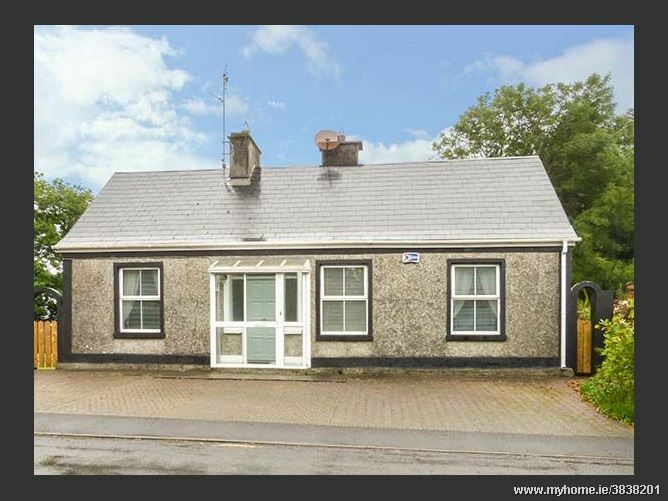 Electric oven and hob, microwave, fridge, washing machine, TV with satellite and Saorview, DVD. Fuel, power and starter pack for stove inc. in rent. Bed linen and towels inc. in rent. Off road parking for 2 cars. Lawned garden with patio, furniture and BBQ. Two well-behaved dogs welcome. Sorry, no smoking. Shops and pubs 5 mins walk. Note: Dogs must be kept on a lead and under strict control when outside. Note: Max 4 adults.